Combined trash receptacle and plastic bag dispenser for canine excrement which includes a lid and rolls of bags for picking up excrement; plastic bag dispensers, bags for picking up excrement, trash receptacles, and liner trash bags. 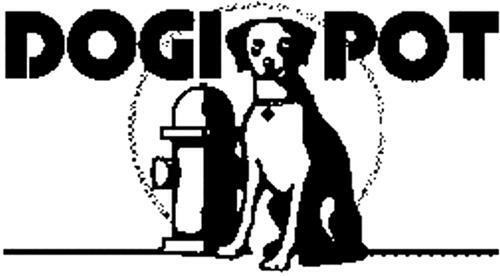 On Monday, November 10, 2008, a canadian trademark registration was filed for the above pictured logo by DP PET PRODUCTS, INC. a Florid 2100 Principal Row, Suite 405, Orlando, Florida 32801, UNITED STATES . The Canadian IP office has given the trademark application number of 1417741. The current status of this trademark filing is Registration published. The correspondent listed for is MACRAE & CO. of P.O. BOX 806, STATION B, 222 SOMERSET STREET WEST, SUITE 600, ONTARIO, CANADA K2P2G3 The trademark is filed in the description of Combined trash receptacle and plastic bag dispenser for canine excrement which includes a lid and rolls of bags for picking up excrement; plastic bag dispensers, bags for picking up excrement, trash receptacles, and liner trash bags. .
(1) - Combined trash receptacle and plastic bag dispenser for canine excrement which includes a lid and rolls of bags for picking up excrement; plastic bag dispensers, bags for picking up excrement, trash receptacles, and liner trash bags.